Agnes has spent her unremarkable life making sure the pieces of other people's lives fit seamlessly together. When her birthday comes around, she's the one cleaning and cooking for the party, even baking her own cake, and making sure everyone else is taken care of. Her skill in making people and events fit together mean that when she gets her first-ever jigsaw puzzle, putting it together is a breeze. It's an oasis from caretaking, and it quickly becomes an addiction that takes her farther from home than she's ever been before: The train station. 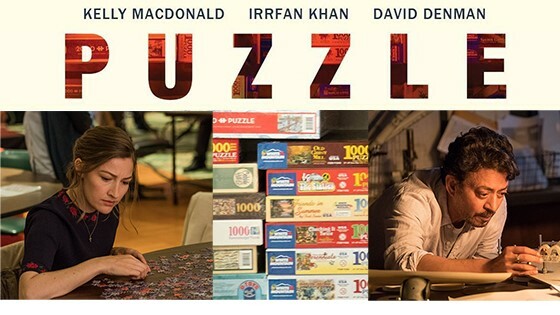 She meets another puzzle enthusiast, one who seems to see and appreciate her better than her husband, and together they enter a puzzle competition to win an all-expenses-paid trip to Belgium. There's something more important for Agnes than a trip to Belgium, though. At long last, she's being seen and accepted, even respected. She feels free. And that makes her realize that she can have more than her unremarkable life.